Trebuchet, are an acoustic three piece folk group with vocals, guitar, bouzouki and dulcimer, electric fiddle, cello fiddle and vocal, whistles, flutes, recorders, gob iron, concertina and vocal. Sourced from the middle ages till the middle of next week, their music moves from the swing of an infectious jig to the courtly play and then to acoustic funk. 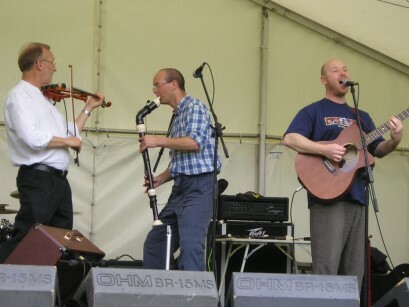 Based in Cheshire, they play for private and public functions, folk clubs and festivals.